There is an old mulberry tree down in the paddock behind the orchard. We think it was planted by CB’s great grandfather, so it is well over 100 years old. It has stood through storms and droughts, cold winters and hot summers. Each summer we traipse down the hill and spend a morning or two filling bowls and buckets (and our bellies too), with sweet, juicy mulberries. This year the weather must have been perfect for mulberry growing because they taste even more amazing than usual (if that is possible). They are exquisitely sweet and tangy, and juicy. The kids often just run down and grab a few off the tree as a sweet treat. Growing up, the lady across the road had a mulberry tree that my sisters and I used to raid for mulberry leaves to feed our pet silkworms which we got periodically (my parents weren’t into pets when I was young). We’d climb up high to get the best leaves, and if the mulberries were ripe, we’d pick a bowl at the same time. 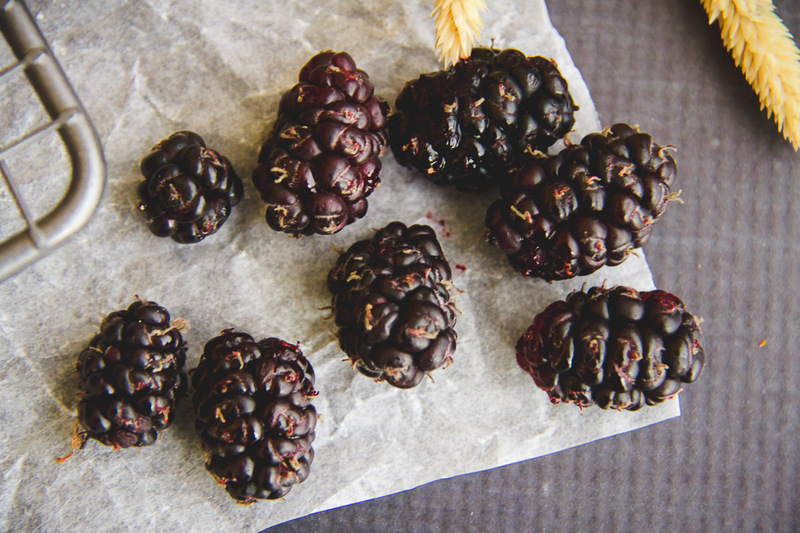 These days picking mulberries is one of those quintessential summer memories that I have, and want my kids to have to. 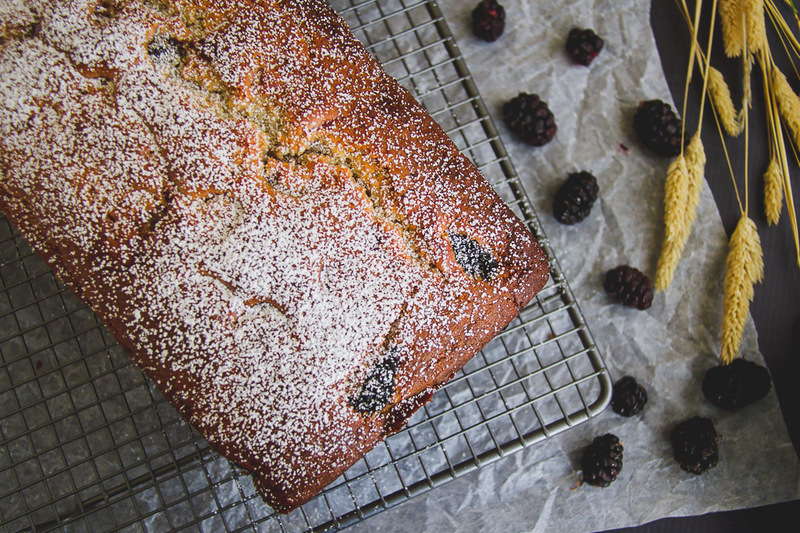 With all the mulberries around, I made this deliciously moist mulberry yoghurt cake. If you don’t have a mulberry tree in your backyard, raspberries (or any other berry) would also work. Spoon a third of the mixture into the loaf tin. Spread a third of the mulberries into the mixture. Repeat twice more until all the mixture has been used up. Bake for one hour, or until the cake has set. Did you have silkworms or a mulberry tree growing up? Hi jo, can this cake be frozen? I haven’t tried, but it should be fine. Hi Jo! You know I saw this pop up in my Facebook feed and I sudden craving for mulberries. I have absolutely wonderful memories of my childhood, eating mulberries from our tree in the backyard. If only I could find some. Might be time to plant a tree I think. Thank you so much for linking up. I always love your posts and appreciate you sharing them here. I’m featuring this one at tomorrow’s party. Have a great weekend! 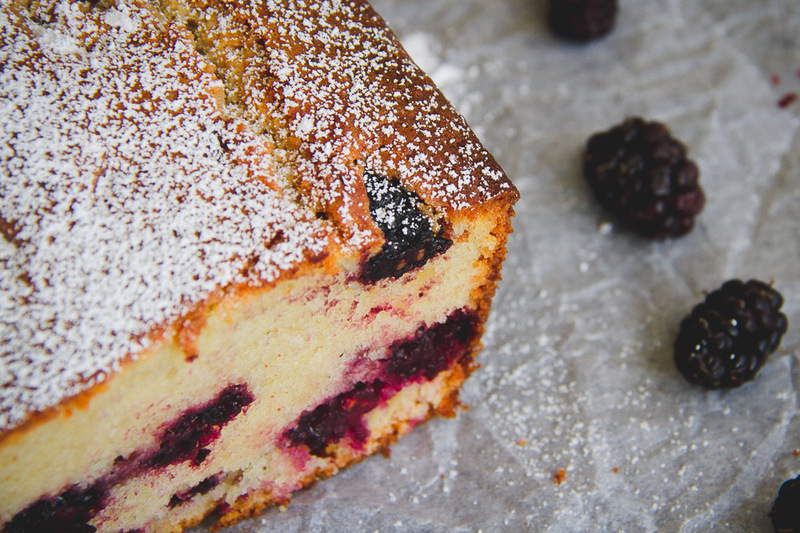 Thank you so much for the amazing Mulberry Yoghurt Cake recipe. We have 2 massive mulberry trees at the house we moved into 12 months ago. They are fruiting like crazy and we don’t know what to do with all of the fruit. 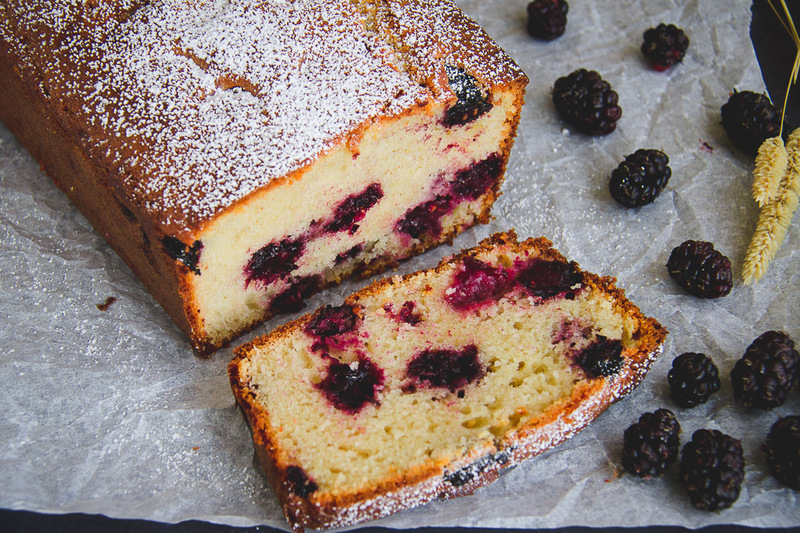 Came upon your recipe and have to say we are all sitting here devouring it. Delicious!! Glad you loved it! Try some mulberry jam, or you can freeze them in snap lock bags to eat later – think apple and mulberry crumble this winter! Delicious. Needless to say, but I love mulberries. I’m so keen to get a tree growing here but apparently they don’t like wind so I’m struggling to find a sheltered spot for one on our sheltered block. I remember staying at my Pop’s farm as a child and on one trip we went to the neighbours and picked an armload of mulberries. They were so good! We had an enormous tree and we too used to climb it after school. Ours was not old, dad built the house but it grew quickly. Mum had a special pair of small, sharp scissors for snipping stalks and she would cook them to go on cereal. I love them with fresh cream and my brother liked them with icecream. Fresh cream came from the poultry farm two doors down where the farmer kept two cows as well. All this is now suburban Sydney but was sem-rural at the time.